What Urn Size Do I Need? 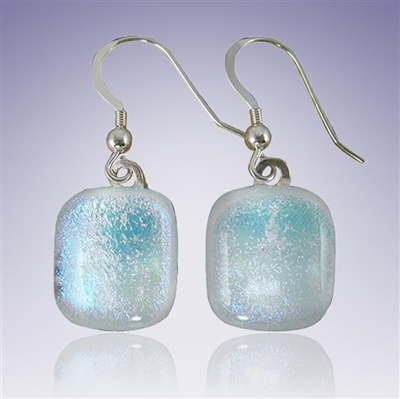 These glass earrings are the perfect compliment to the Eternity glass cremation pendants. They contain no ashes, but can be ordered in matching color combinations to compliment your cremation pendant. NOTE: These pictures are a representative of the final product and each piece may vary slightly in color intensity and design. Pendant Size: approximately 1/2" x 1/2"
To compliment your glass cremation pendant, matching glass earrings are also available. 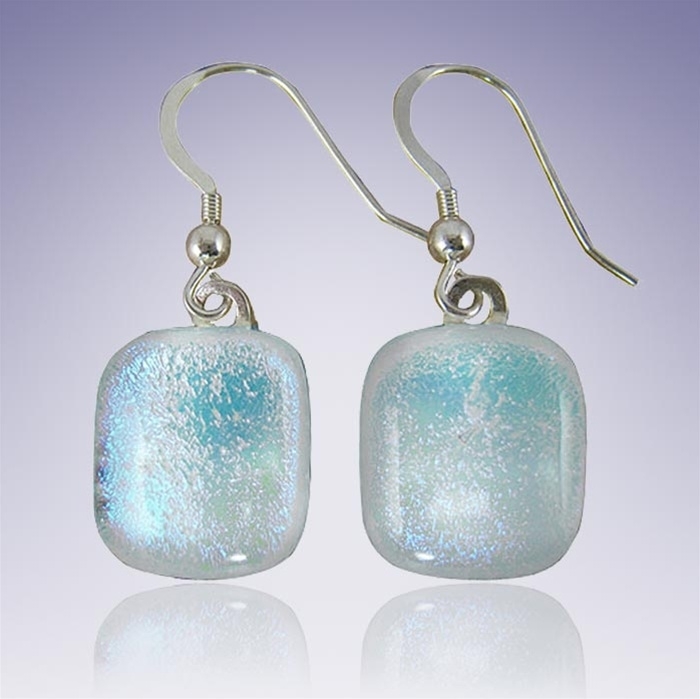 * The dangling earrings are designed in dichroic glass to match your cremation pendant and feature sterling silver findings. The earrings contain no ashes and are approximately 1/2" by 1/2" in size. Because each pair is a one-of-a-kind design, the size may vary slightly. Classic Line earrings also complement the Embrace Line pendants. * for pierced ears only. Copyright © 2013 Classic Memorials, Inc. DBA Everlife Memorials.All Rights Reserved.